Scientists have concluded that white dwarfs, remnants of stars like our Sun, begin to crystallize at some point in their life cycle, and many of them already have a core of solid oxygen and carbon. Our Sun, like many other stars of the Universe, will explode and turn into a white dwarf after billions of years. After some time, the celestial body will pass through its own evolution and flare up with a Supernova star, the core of which is able to crystallize. 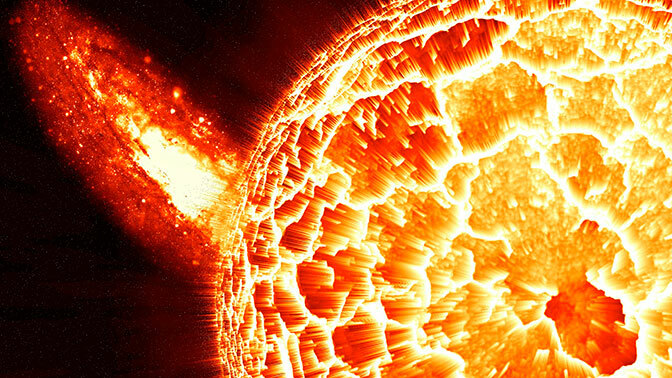 As a result, the Sun can become a giant diamond, scientists write in the journal Nature. White dwarfs are compact stars with masses comparable to or greater than the mass of the Sun, but lacking their own sources of energy, and their matter gradually crystallizes. Observations have shown that the remnants of dead stars such as our Sun, called white dwarfs, have a nucleus of solid oxygen and carbon, which is formed as a result of a phase transition at one of the stages of their life cycle. This transition is similar to the transformation of liquid water into ice, but it occurs at higher temperatures. The discovery of this fact suggests that the age of white dwarfs may be several billion years more compared with previous estimates. Previous story In the USA, butterflies of the species Danaid monarch disappear.